Good morning! 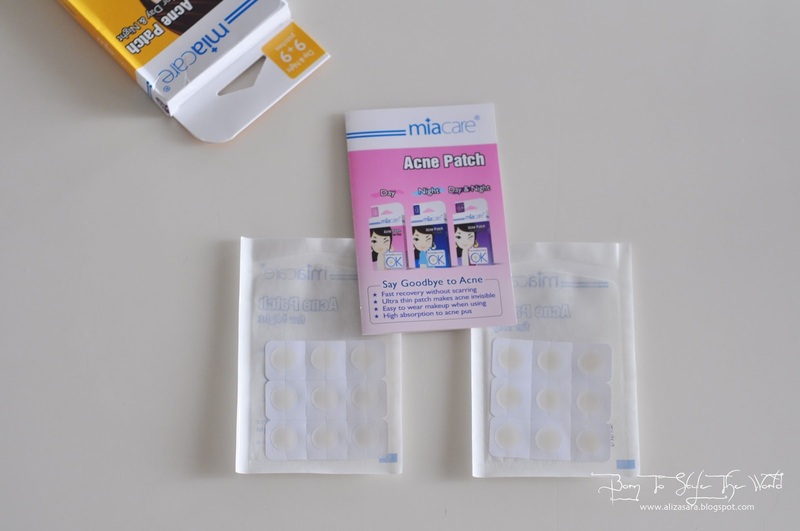 Im starting today with a review of MiaCare Acne Patch. They can be said very new in the market, and theyre doing pretty well cause when i wanted to restock my packs of MiaCare at home, the stores ran out of it. Now im reminding myself to grab and go whenever i see them in stores. haha. 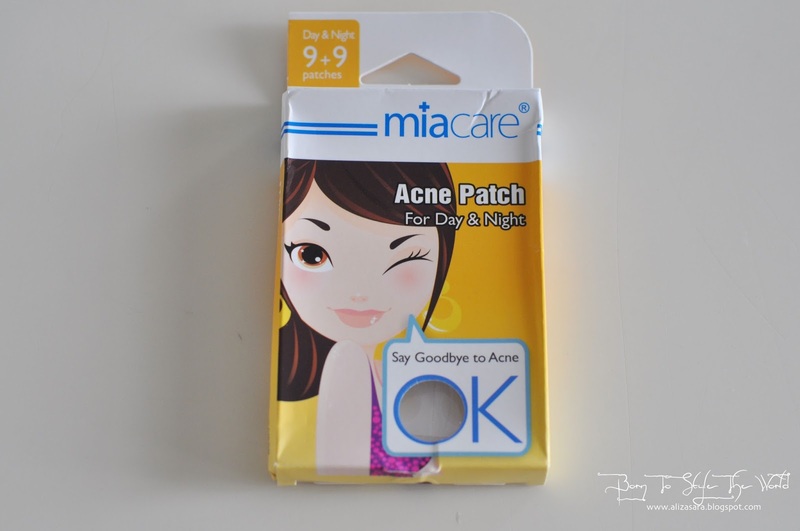 Wondering why are these acne patches selling out fast? Well, im about to tell you why. 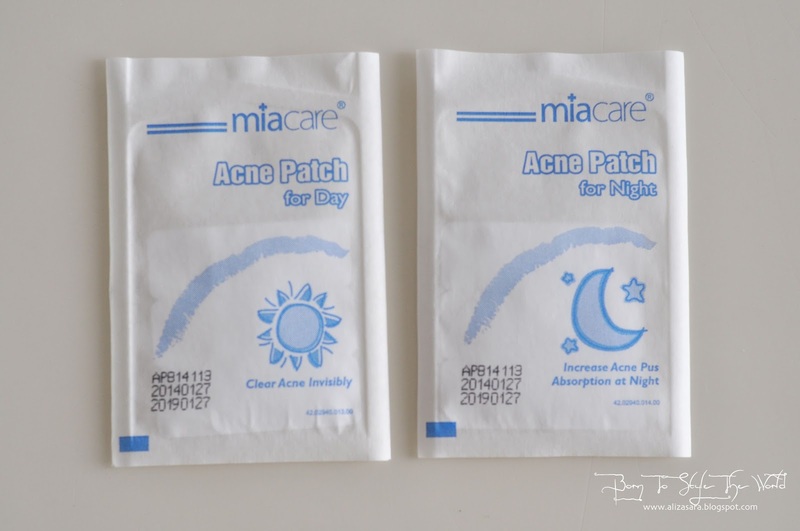 These patches are practically 'life saviours' when youre in need to get rid of acne. In my experience, i usually would get an acne attack at a certain time of the month. Its either when my periods are coming, or when im cleaning the house, and BAM, the next day, acne's spots on my face. And thanks to MiaCare, they have made it easier to remove acne within less than 72 hours! 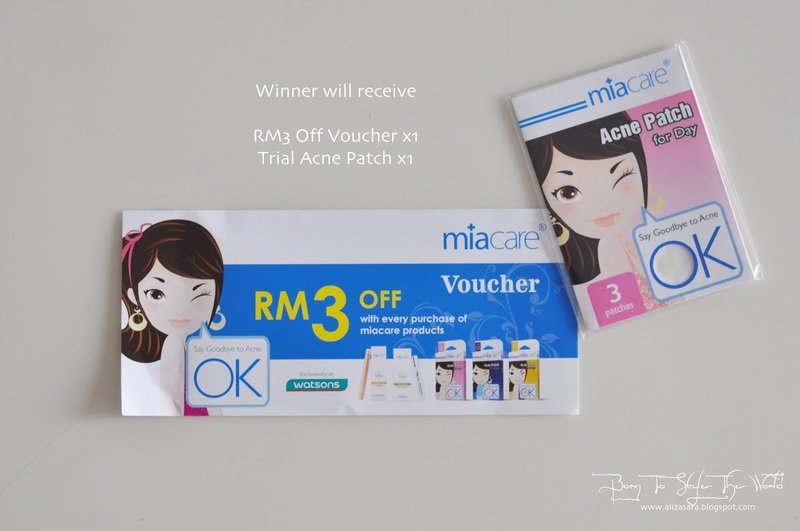 Each pack of MiaCare Day & Night Acne Patch comes with a pack of Day Patches, a pack of Night patches and a guideline book on how to use this life saviour patches. What these patches do basically would be that they absorb the icky white stuff which are also known as pus, from your acne, then acts as a protective layer to prevent bacteria infection, leaving your face acne free without scars. How do i use MiaCare? Well since the pack comes with instructions, its not that hard to really use them. But based on the instructions, its advisable to make sure that your acne and your hands are dry and clean to minimise on bacteria contact. 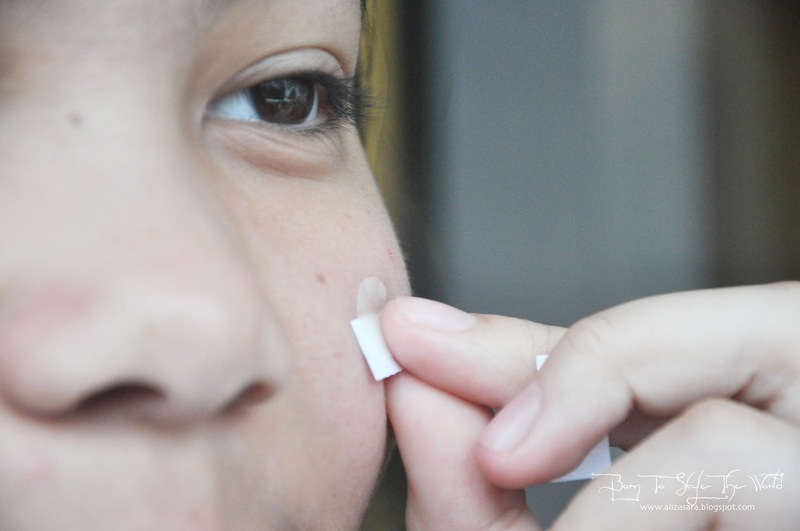 Once your hands and face are clean, first you might need to tear off one of the acne patches then remove it half way to release the paper. 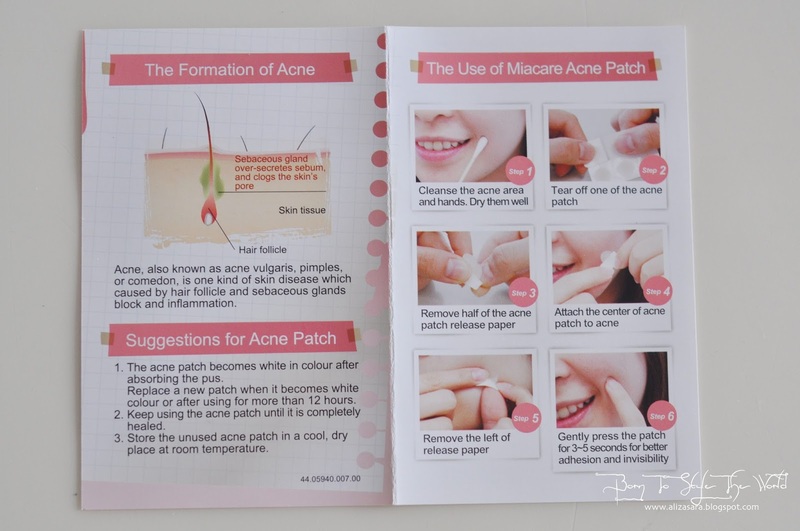 Next attach the center of the patch to the acne and remove the remaining paper. 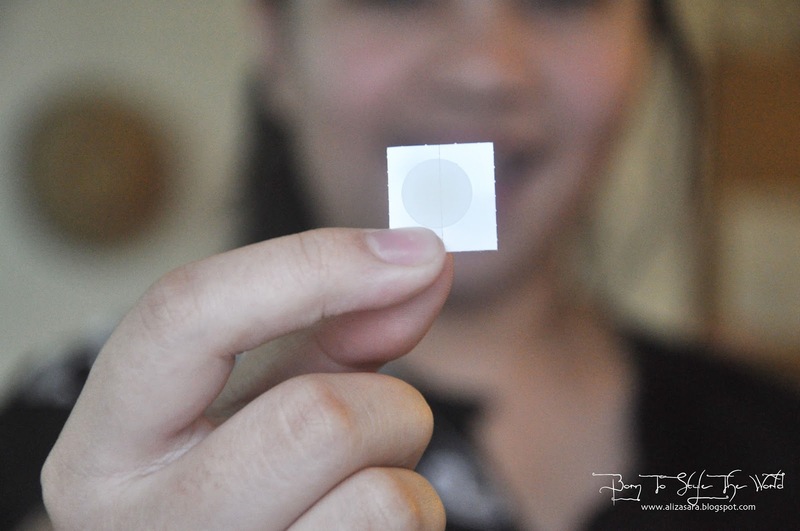 Gently press the patch for 3-5 seconds for better adhesion and invisibility. When Acne patch becomes white in colour OR if you have used it for more than 12 hours, replace it with a new patch for faster recovery. 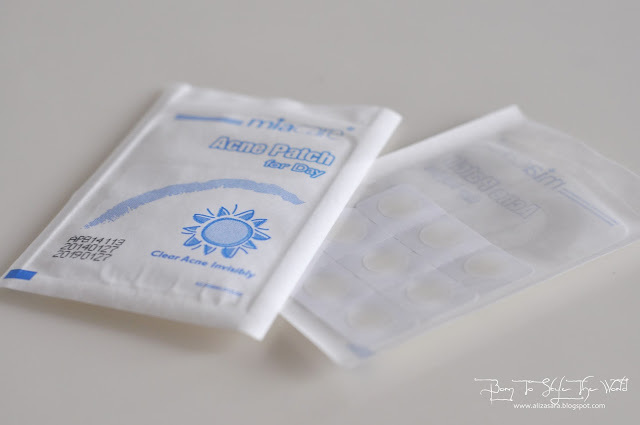 Acne patches are to be used until acne is completely healed, but in my case, it goes away after 3 patches which is equivalent to 1 and a half days. Woohoo! Tear half the paper out and stick the patch do desired acne. And thats about it! 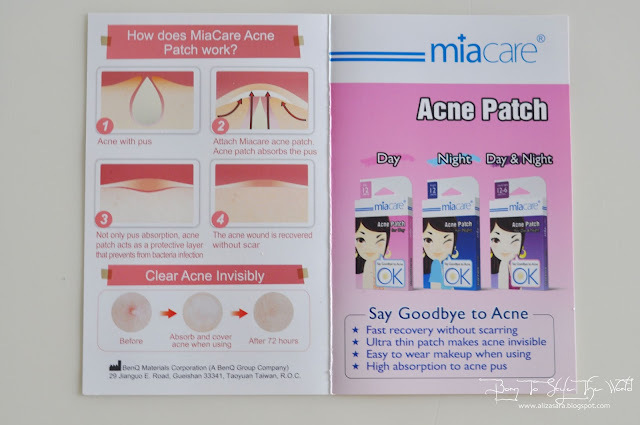 What makes MiaCare Acne Patch unique is that they have designed ultra thin patches which makes acne look invisible. The difference between the day and night patches doesnt look as different, but they function differently which i believe is a great effort by MiaCare. Day patches reduce and clear acne invisibly, and if its not invisible enough, you can always apply a layer of make up to cover it up. Night patches are slightly more obvious when applied to acne, but the absorption rate is higher since all you do at night is sleep. Say goodbye to acne the minute you say hello to MiaCare. 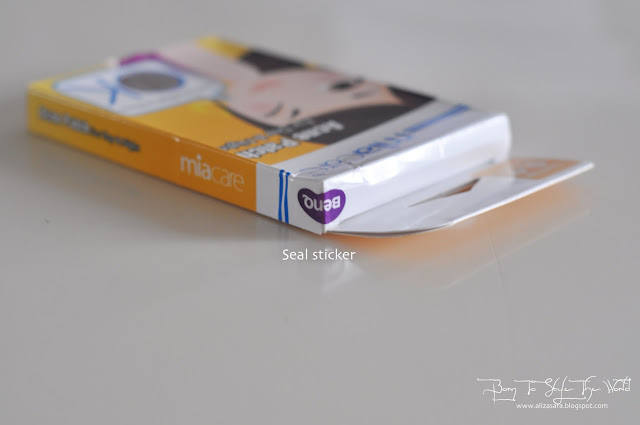 Its amazing how MiaCare Acne Patches are ultra thin and absorbs acne pus, without leaving any scars. 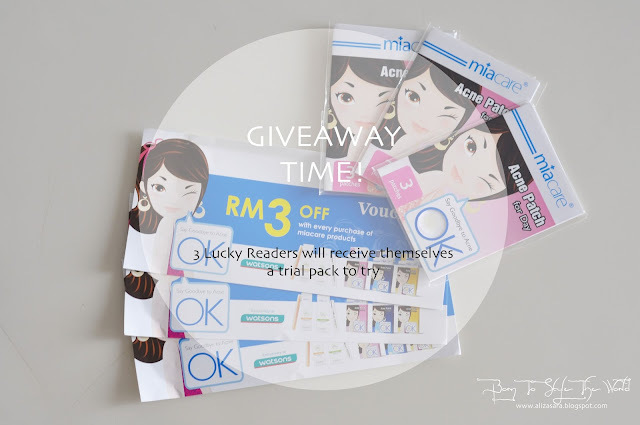 Thanks to MiaCare, i will giving 3 lucky readers a chance to experience MiaCare acne patches themselves! Just fill in the form above, and not to worry, i wont be making you follow any accounts. Hehe. 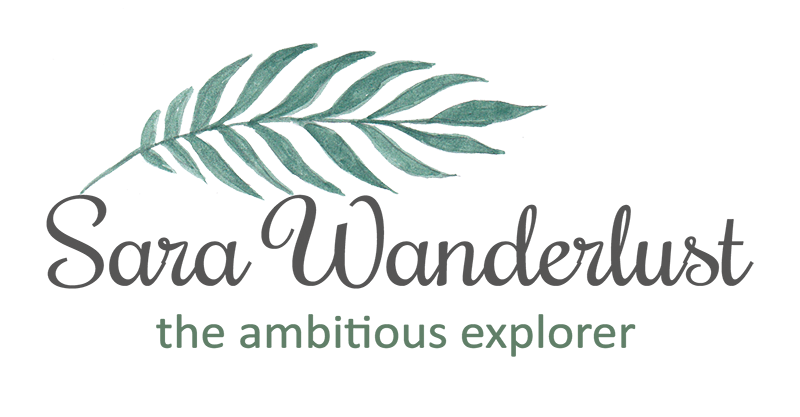 Be sure to visit Born To Style The World and leave a comment below with your Name and Email so that i can contact you if youre one of the winners! I need MiaCare to get rid of my acne !! PLEASEEE.. Cool! I need MiaCare to get rid of my acne too! Thanks for the giveaway! Awesome review! This is a cool coverage for acne. Sure will recommend this to my friends. "I need MiaCare to get rid of my acne"
Great!! Thanks for sharing. I loved it. nice, the color is very match the skin tone. Haven't try this brand yet. This is so awesome! I need this to get rid of my acne!! I love acne patches. I use another brand, though. They really do work amazingly. It's really cool that the patch is almost invisible! 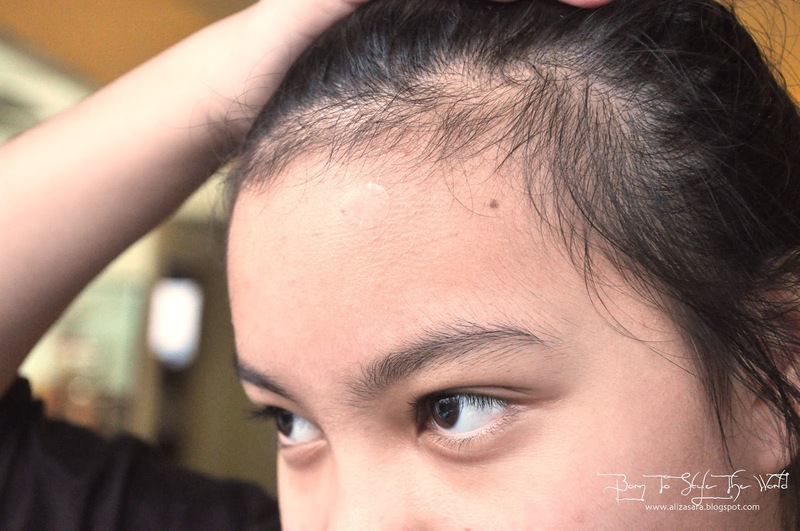 Acnes gone in such a short time! Never seen this before. I too have problems at that time of month but lately the scars just won't go away as fast either. Does it work for acne scars too? I would like to give a try with the giveaway. I need MiaCare to get rid of my acne. I agree with you! they are wayyyyy better than some acne patch i tried. Seriously! Wow nice, getting myself one soon!! I got lots of acne and I really need this to clear it off. It looks simple to use too. 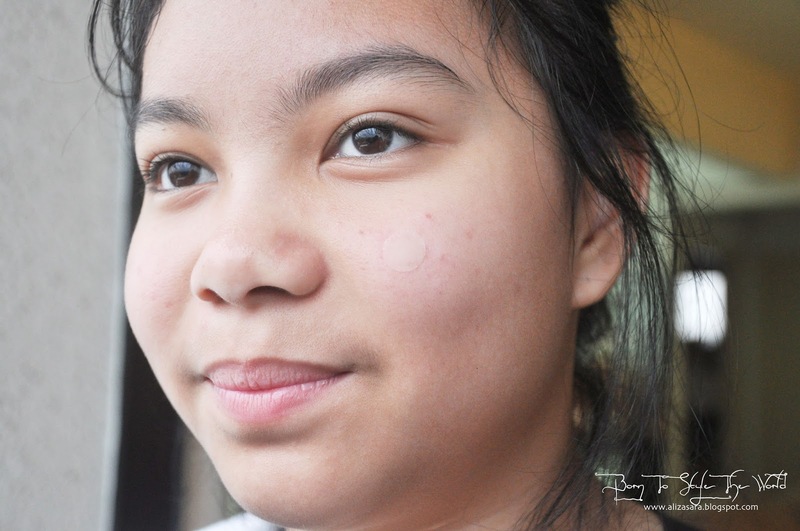 would you believe i still get pimples even at my age? ><" .. using oxy acne wash daily though, maybe i'll look into this product that you've reviewed here. I use this before. Found it very effective! It is a wonderful product for those who get acne and seems very effective. Does the item regard skin inflammation as well as leaves skin milder. Even better,accutane alternative it doesn't contain any cruel chemicals that reason drying of the skin. Fragrance Du Bois has reached 1! Everyday is Pets Day at Petsmore.